Leaving as minimal impact as possible on the land is what has drawn me to organic winegrowing. As intensification of farming systems has increased we need to balance this with further care and attention of our plants and soils. If this can be achieved under an organic system with ‘softer’ inputs then this seems to be a logical direction for further growth and development. One of my main concerns is achieving consistent mealybug control under an organic system, which I believe requires further investigation through research. I was initially concerned about organic weed control but am confident now with the technology available that we can adequately control weeds throughout the season. I’m particularly excited about the movement away from herbicides and the improvement of soil health and ultimately wine quality that will be evident in years to come. My experience with organics to date, having managed one of our vineyards organically for the past year, has made me more aware of the vineyard system as a whole and our role as gate keepers for future generations that will farm this land. Our Mere Road vineyard is located on the Gimblett Gravels in Hawkes Bay. The vineyard is 9ha, planted in Merlot and Syrah. Planting began in the year 2000. The vineyard has been growing under a conventional growing regime but has slowly been shifted toward more organic practices over the past three years. 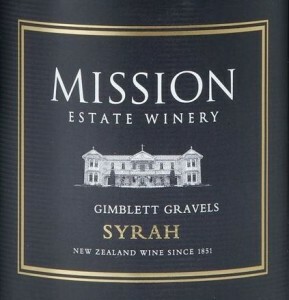 The soils have varying levels of silt over stones, which produces balanced vines of high quality fruit. This is our ultra premium block for high end products such as Huchet, Jewelstone and Reserve, all of which come from this block. I’m confident that the organic blocks will perform well in the upcoming seasons. This vineyard is very well balanced, has high cultural inputs and thin low vigour canopies with open bunch zones. This lends itself to a softer organic approach, especially for powdery and botrytis control, as our cultural efforts are so intensive, which I believe has a far greater impact on disease control than any chemical approach. 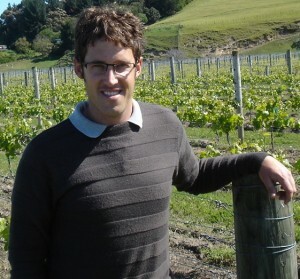 For me on the Gimblett Gravels I am unsure as to how well the organic program will perform in controlling mealybugs when compared to a conventional program. This will be an area of much interest and will be closely monitored. There are a few products that will be trialled for organic mealybug control options. We will be trialling the used of oils for controlling mealybug and also garlic/pyrethrum products for mealybug control as well. I hope to learn more about the fine tuning of the vineyard ecosystem. From soil and canopy inputs to slight modifications in canopy management, to optimise the vineyard’s performance. We will also be monitoring for beneficial insects across the blocks to try and obtain an understanding of what is happening to these populations across the vineyard. When setting up the trial blocks a number of considerations have been taken into account. Firstly it is very important to discuss the blocks to be targeted for organic management with your winery. Involved in these discussions should be the General Manager/CEO, winemaker and viticulturist. I think it is important to inform the purchasers of your fruit if a change of management is going to occur. Winemakers will be able to give an indication of block size needed for a particular ferment and General Managers/CEOs will be able to start thinking about product placement, potentially under an organic label, in three years time once full organic certification is reached. These aspects can have large influences over varietal choice for conversions; it’s not just about the part of vineyard to convert but just as important, the appetite for organically produced fruit. When making the decision of where to run our trial all of this was taken into consideration to allow plenty of options in the future. Once the decision has been made of where the organic block is to be placed, the first decision is what type of weeding option will be used. This falls under two categories: undervine mowing and cultivation. I think both of these options have a place in weed management for different situations in vineyards. 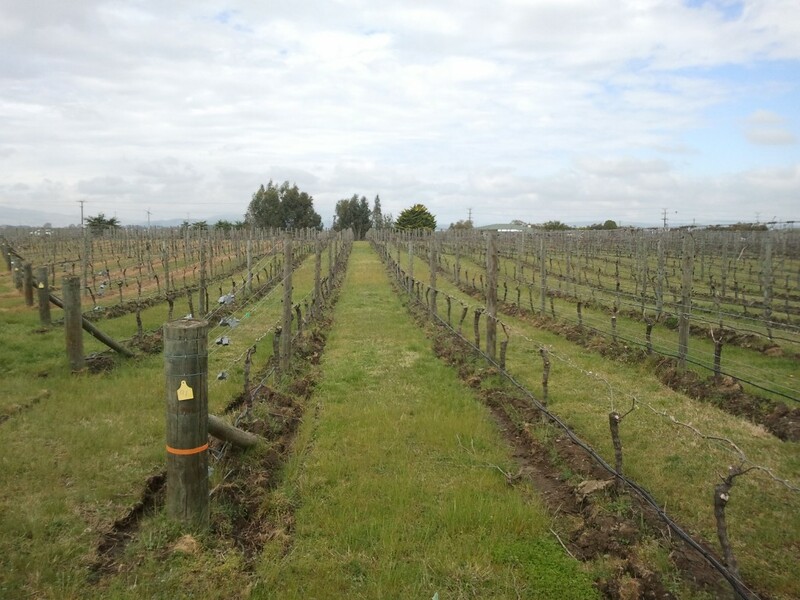 On our Mere Road vineyard on the Gimblett Gravels, which is a low vigour site, I personally think that controlled undervine vegetation through mowing would limit growth too much. We therefore believe that cultivation on this site is the most desirable option. We have decided on using a contractor to perform this task. Our first cultivation pass is the ‘mounding up’ pass. This is the most important pass as you set the area for cultivation under the vine. You therefore need to be aware of the width of your implements to make sure your wheel width is significantly within the cultivated strip, to avoid ‘tracking’ of vineyard equipment. The irrigation has stayed at the same height, however covers and stakes have needed to be installed around valves and risers to protect these from potential cultivation damage. This is a one-off cost. The next step is determining what products will be used throughout the season. Most agrichemical suppliers now have organic spray programs and representatives who can assist in putting a program together, with up to date knowledge of the products that are accredited organically and which are not. I think it’s important that your suppliers know you are transitioning to organics so they are aware of only supplying you with organically certified inputs. Also at this stage it is advisable to have a conversation with your preferred certification company to register your block or vineyard under organics, so a full set of guidelines can be obtained for direction throughout the season. I have found that staff have been very supportive of the move to organics. There hasn’t been a lot of extra training required apart from the need to obtain more knowledge about organic products. Many of the products used, such as sulphur and copper, are also used in conventional systems, so the change has been very simple to adapt too.